Paper railway tickets sold by a conductor have now almost universally been replaced by rail ticket booking software. The methods for sale, verification of correct purchase before and during travel and when alighting, whilst monitoring passenger numbers and sales costs have greatly changed. Nowadays passengers expect to be able to purchase their tickets any hour of the day, irrespective of whether they are near the train line or not. They expect convenience. Yet rail companies personnel budgets are tight. So many rail companies have adopted a high upfront cost approach by installing expensive hardware at multiple locations to sell tickets. Unfortunately these machines also have an ongoing cost resulting from maintenance, repair, connectivity, servicing and replacement. Sooner or later the railway looks to find a way to reduce this cost too. Other options including selling your tickets through stores and other shops that passengers may frequently visit. However, your company is not their key focus so your brand is lost amongst their many other products. Many larger railways have adopted electronic cards, similar to a bank card ranging from just an electronic strip where the balance is stored on a head office computer system, or with more advance electronics where the balance is stored on the card itself and then is updated to the head office computer system every now and then. These cards have great benefits in that you can now track where the passenger boards and alights, thus giving you detailed statistics on passenger numbers. However, they also have huge costs as trains or stations or both need to be fitted with the necessary hardware to sell, verify and process passengers. And then there is the challenge with vending machine sales and electronic cards of end of life. Typically the installation of all the related hardware occurred at one point in time. It involved a massive upfront cost, significant deployment of contractors or personnel to install the machines, and costly multi-year contracts with vendors. Then 5, 10, 15 years later they all must be reviewed again. And the vendors now have a almost monopoly position able to lift their prices, because only they know how to fix your system. Well, there is now a new solution to this. The humble smartphone, mobile phone, cell phone (call it what you will) and the internet allows you a new way forward. 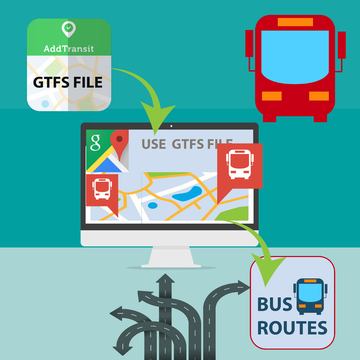 Your customers now carry mobile phones and using AddTransit rail ticket booking software for your sales and reservations you will be able to implement a new network wide ticketing solution almost immediately. Mobile apps allow the purchase of tickets and the verification of tickets. Customers have the flexibility of 24×7 purchase and reservations no matter where they are. And you have the location based reporting so that you can improve your routes and timetables whilst monitoring your costs. Find out more about our Railway Ticket Booking Software today.